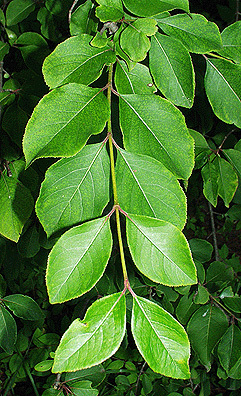 Leaf:Opposite, simple, elliptical in shape, very finely serrate, 1 to 3 inches long, pinnately veined, with a reddish petiole and often reddish leaf edges; dark green above and paler below. 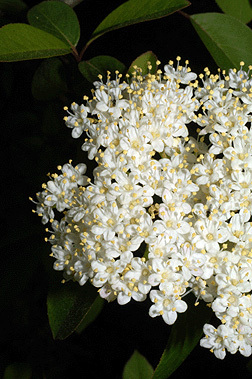 Flower:Very attractive, small, white (buttery looking from a distance), appearing in dense slightly rounded panicles, 2 to 4 inches wide, appearing in mid-spring. 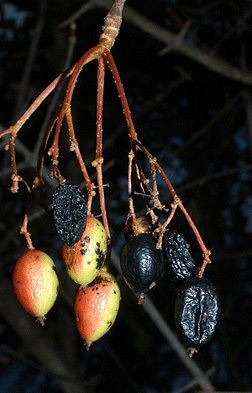 Fruit:Dark blue, elliptical drupes, 1/4 inch long, often with a whitish bloom, in hanging clusters and ripe in late summer, shriveled raisen-like fruits often persist into winter. Twig:Moderately stout and stiff looking, reddish brown, numerous opposite short twigs give an appearance of a fish skeleton; buds are valvate, narrowly ovate, pinkish brown, and leathery looking; flower buds similar but swollen, appearing to have swallowed a BB. 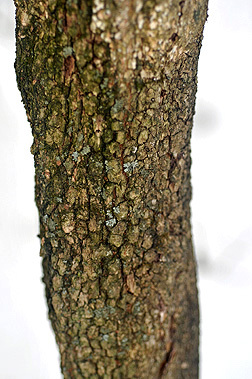 Bark:Gray-brown and breaking up into small square plates - like alligator hide. 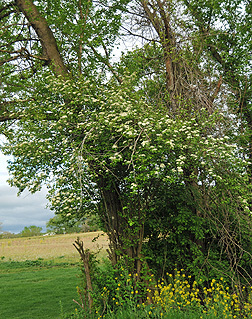 Form:A large shrub or small tree up to 20 feet with a twisted trunk and stiff, arching branches. 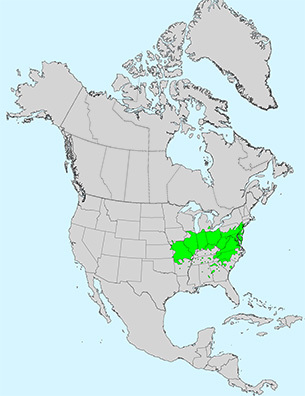 Branches often have numerous short shoots that are obviously opposite and right-angled, resembling a fish skeleton.